NASHVILLE, Tenn. (July 25, 2016) – Every year, a man with a white beard goes city to city giving the gift of Christmas joy, and his name is… William Lee Golden (were you expecting someone else?). 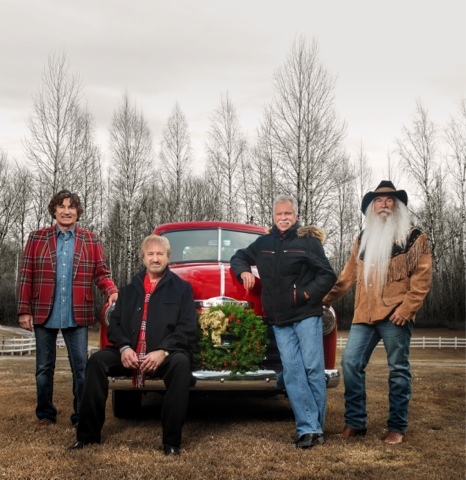 For 27 years now, Country Music Hall of Fame members The Oak Ridge Boys have been a part of their fans' holiday seasons with their annual Christmas tour. This year, the award-winning group will play to packed houses across America during the 2016Christmas Celebration tour, which will take the group to two-dozen cities in 16 states, from the East to West Coast, November 1 through December 22 (see schedule below).